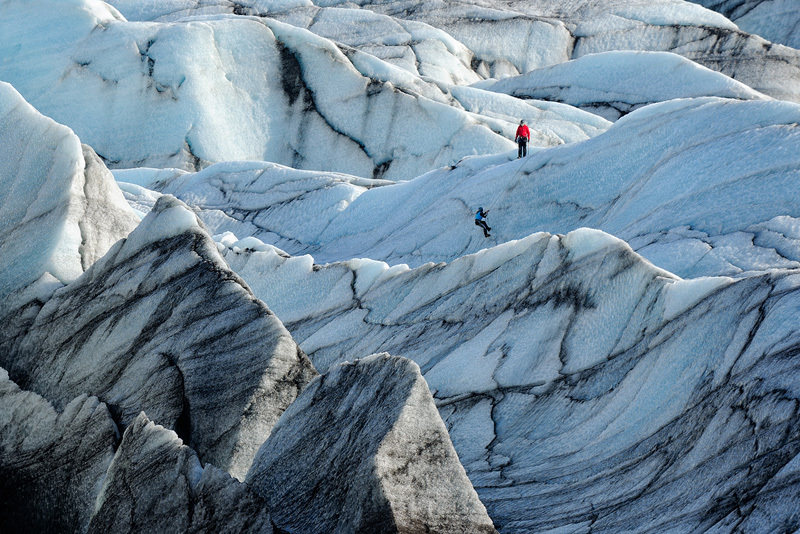 Iceland has many glaciers. Vatnajökull (meaning Glacier of Rivers), is the largest and most voluminous Icelandic glacier, and one of the largest in area in Europe. It is located in the south-east of the island, covering more than 8 percent of the country. A picture of this immense glacier without the climbers would have worked, but the sheer size would not be clear to the viewer. That's why I decided to wait for the climbers to reach an interesting part of the glacier before I took the shot.